Hello everyone. Hope you all had a fabulous Easter and didn't eat too much of that delicious chocolate. Before we get to business, we have a little reminder for you - you can watch Nikky on Create and Craft TV on Tuesday 29th April with a brand new Dutch Doobadoo show! 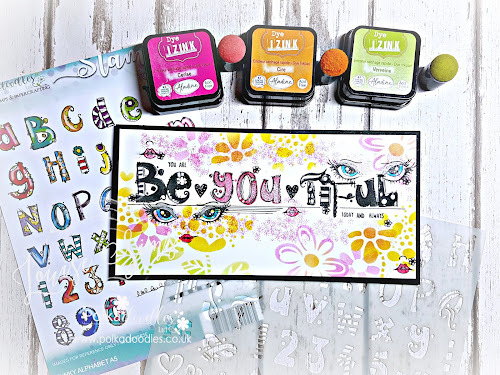 If you've never heard of Doobadoo it is a fantastic range of new products in the UK and Nikky will be showing us some gorgeous things we can do with it! So make sure you tune in or watch online on the Create and Craft website! Don't forget the new Work and Play Collection 3 is available now and these collections are a fantastic, affordable way to build a whole library of characters for every occasion you could ever need! 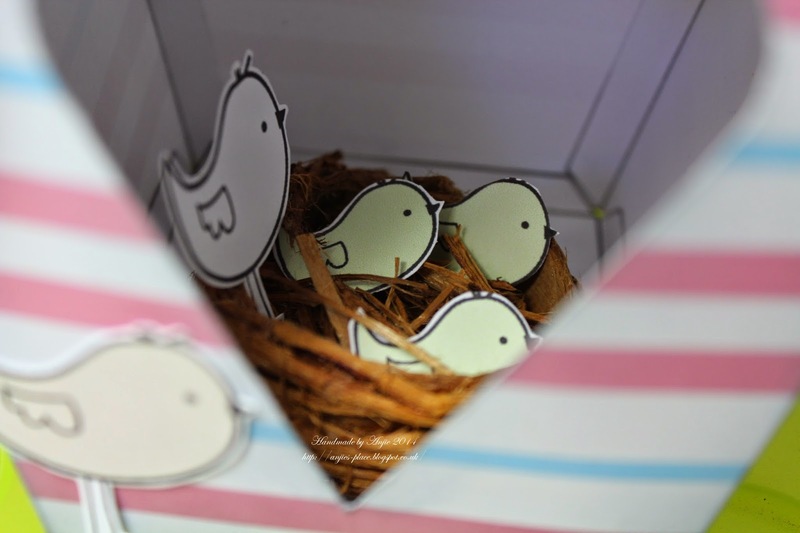 Lou: I have used Paper Boutique 3 and the flower cross, to create an Easter card for my M-i-L. The cross and flowers have been layered on to acetate, with another cross on the inside. Lots of layers added and a simple sentiment (created using rub ons). 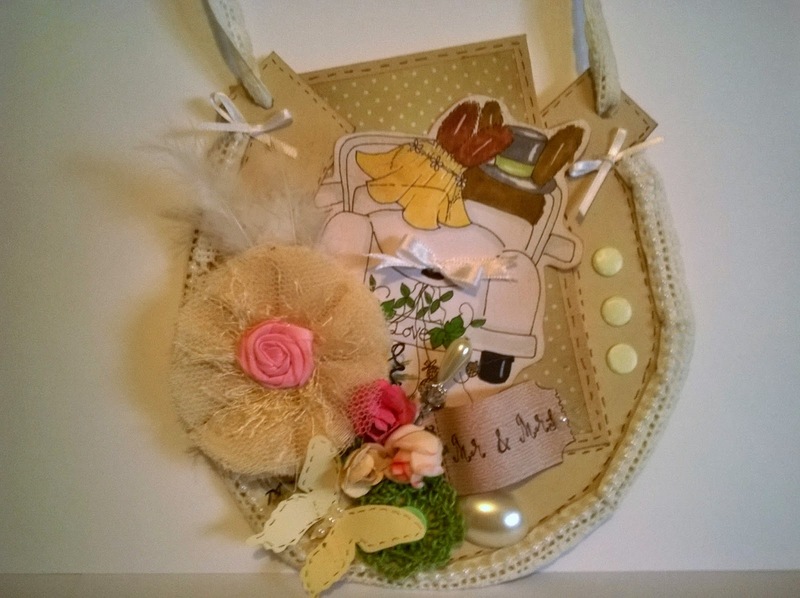 Claire C ...I love Spring, after the dark days of winter is lovely to potter around in the garden and watch the birds. 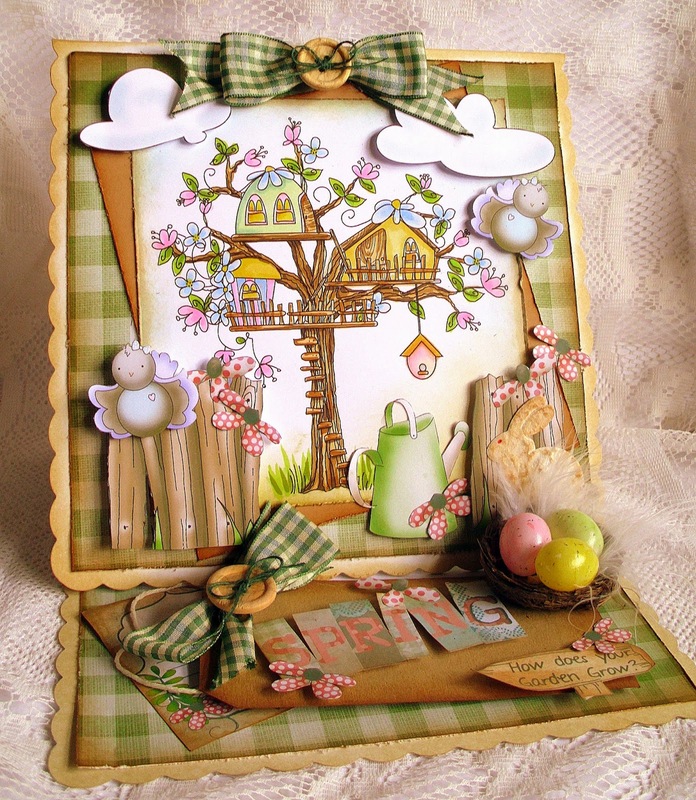 I've made a Spring themed easel card using a digistamp coloured with Graph'It Markers, papers and lots of embellishments from Sudio 12 Picknix Collection 1 Cd. Karon - I decided to have a look back and some of the older CD's this week and decided to use the Sugar Birdies CD collection. I made two cards, one a pyramid card, and not to waste the left overs I made an inverted pyramid card too. Using one of the pre-coloured toppers and paper. The sentiment tickets are from Dollie Daydream Goes East collection. Fabulous makes this week, or what!? Wow! of our fabulous Work and Play Collection 1 - fabulous! #35 Samih who is only 8 years old eveyone! Congratulations to all our winners - don't forget to take your blinkies from the side bar. We'll be back next week with some UBER exciting news, so don't miss it!!! 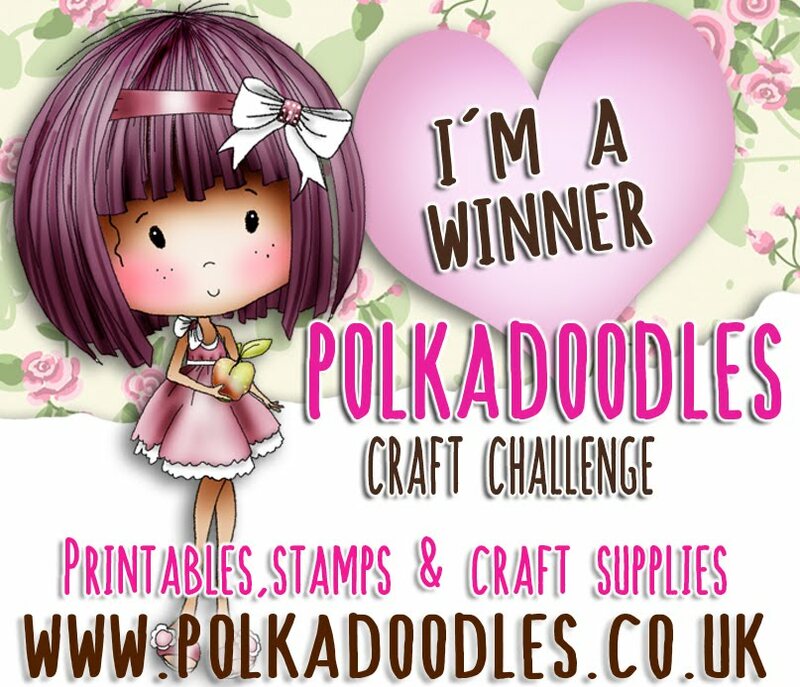 Happy Easter everyone and welcome to another Polkadoodles challenge! We all hope you have a lovely Easter break and manage to spend lots of time with family and friends - don't be eating too much chocolate though! Bev here with my Easter make. 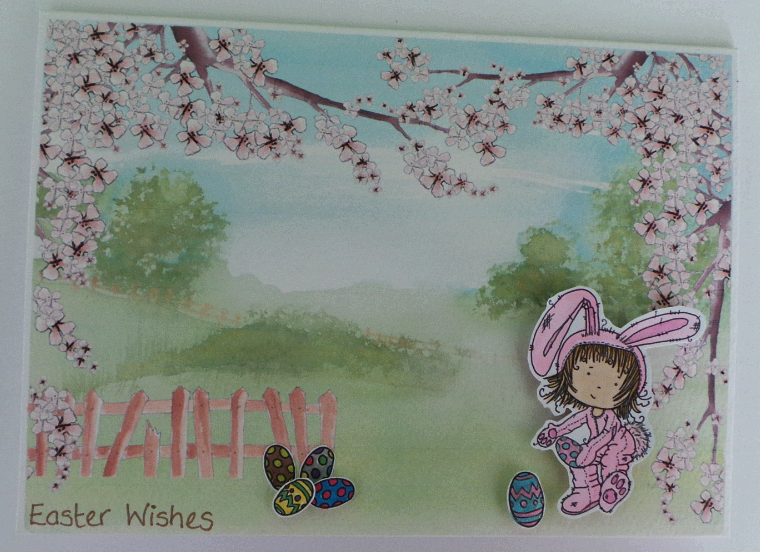 I've used the 'oh so useful' Cherryblossom Lane and created a scene in my graphics programme and printed it off onto water coloured card. 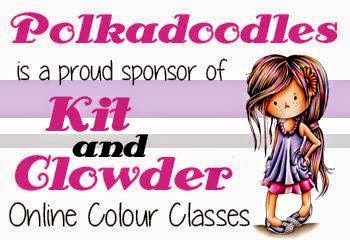 I then took the fab freebie Tatty Twinkle Easter digi coloured it with my Graph'it markers and added a couple of eggstra digi eggs. Anjie - I've take the challenge on with the true meaning of Easter, which for me is all about new beginnings, and here is my project. 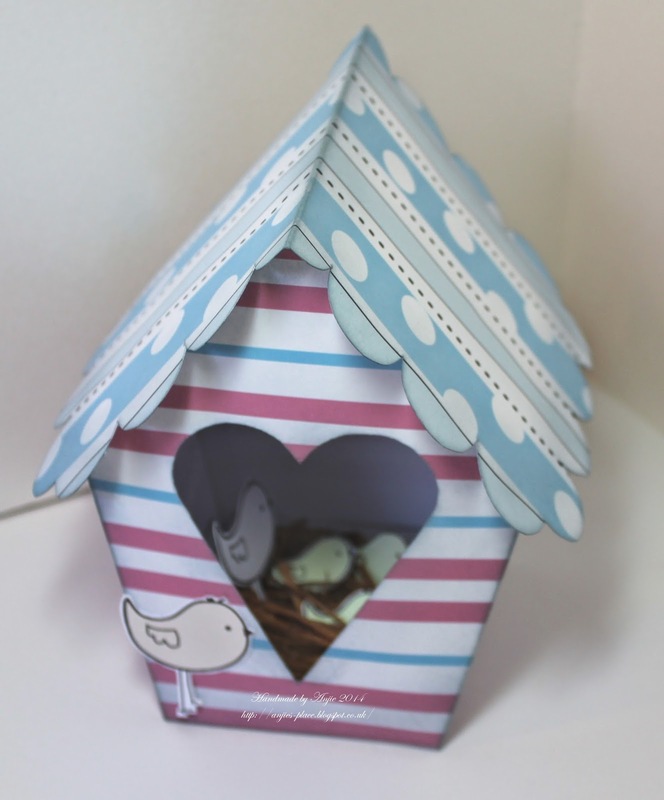 I've used the bird house from the Candy Doodles COLLECTORS EDITION CD-Rom, I absolutely adore this CD, it has to be one of my fave ones ever! I've printed out the templates onto the back of papers from the CD that I printed onto card. When I cut them out I added some Weathered Wood Distress ink around the edges of everything. And so for the theme I have made a little nest out of some tree bark and added it inside the birdhouse with some baby birds in with mummy bird watching over them. 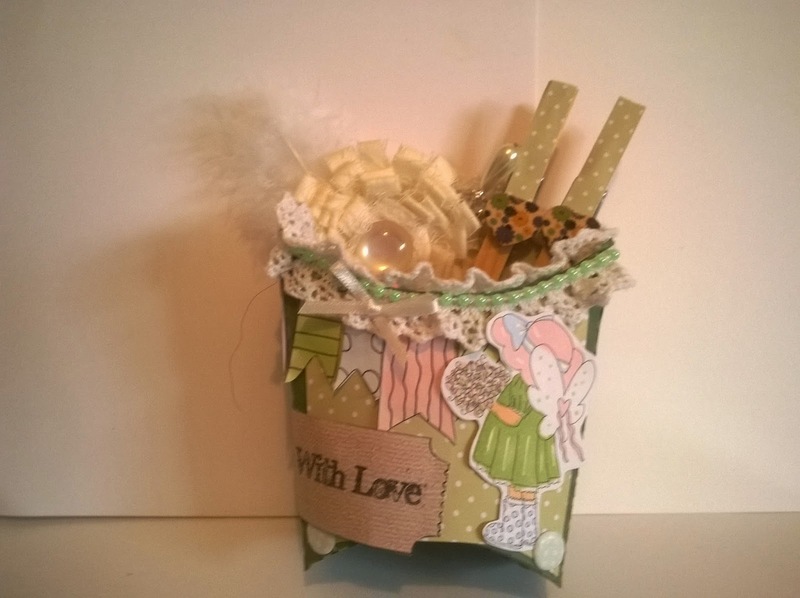 Ruth: I've made two cute Easter baskets with papers from the Fredricka cd plus some die cut letters and a lot of little cute wrapped treats (and none were eaten during the making of the baskets!) The sentiments were actually part of the chocolate packaging so I decided to add them! Gorgeous creations from the team, some great ones here! Friday already and that means challenge day! Woohoo! And the team have come up with some great inspiration as always! entering this one! You don't have to use our products to enter so get making! 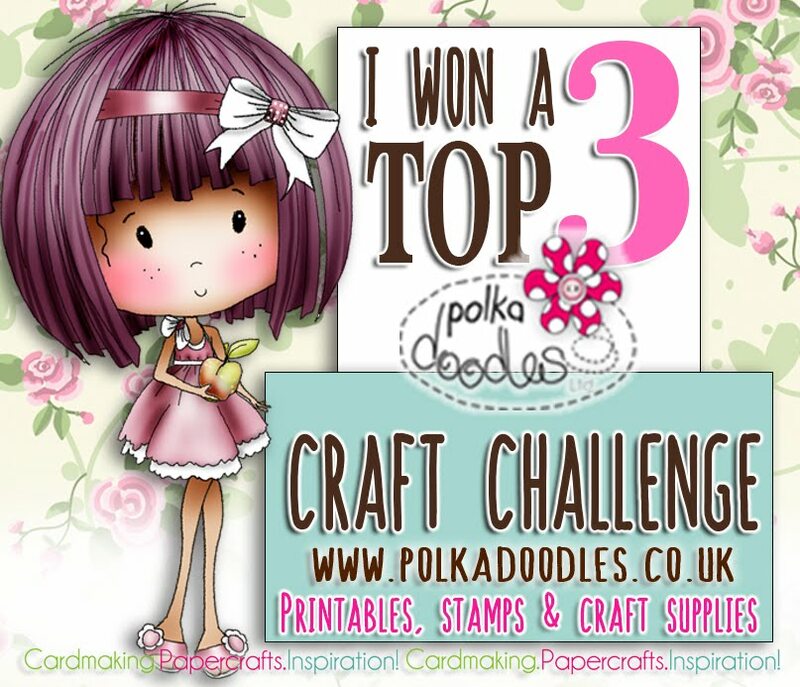 You can see the winners from our last challenge at the end of this post but just before we have a look at the Design Team's work this week, we have a fabulous Freebie for you! 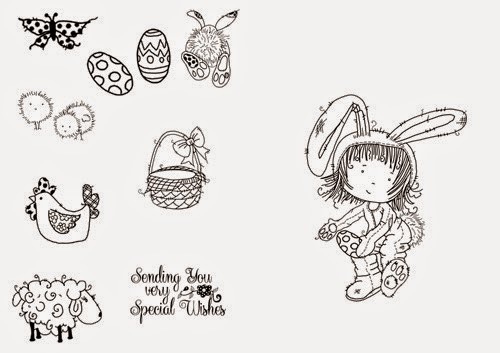 Nikky has been working with the fabulous team over at Tattered Lace to bring a new collection of stamps for her new character Tatty Twinkle! 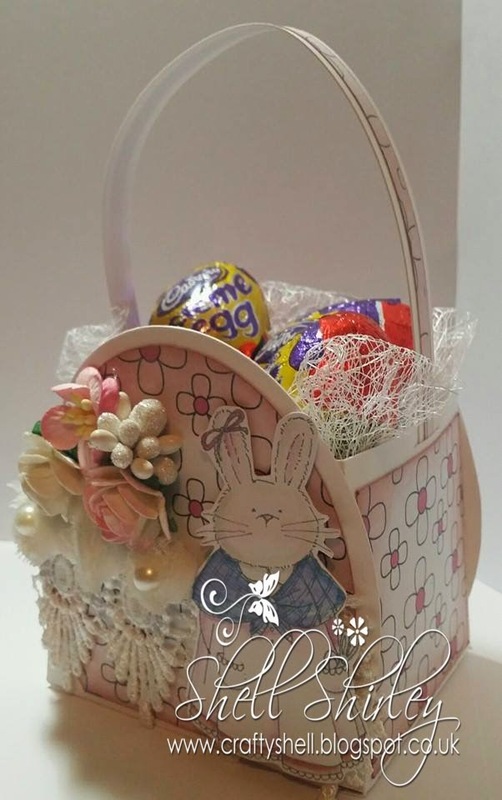 Tatty has gone down an absolute storm with sellout shows on Create and Craft, so as a special thankyou Tattered Lace are giving away a special set of Easter themed digis - woohoo! How generous! themed papers to match! Bargain!! Again, click the image to get the free download! Watch out for more Tatty Twinkle coming soon! Bev here with Sally the snail, she's from All Around and Everywhere and can be found in the 'Get in Shape' section she was pretty easy to cut out and assemble too. I just added the backing sheet, glitter and sentiment. Anjie - I changed my mind quite a few times before I settled on using the Cherry blossom Lane CD Rom Collection as there are so many gorgeous animals on so many PD CD's. The image, papers, sentiment and trees are all from the CD. The die cut cupcake and tree are from Tattered Lace. I have coloured the image with my Graph'It Markers and given it a light spray with Graph'It fluid to give it a bit of texture. 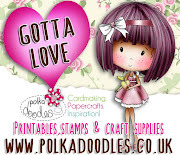 Susan - This week I have done a very quick card from the fabulous CD Paper Boutique, its full of templates ,papers,3D projects and lots more. I have printed out the papers needed and cut them out, then decoupaged them - how simple is that? the two by two was a cutting file I made myself. Lou - I have also used Paper Boutique 3 as my starting point and also a Dobadoo stencil (brick wall). I have gone for the adorable Hippo (Hippo Baffday) and also embossed all the bubble elements using 2 different dots folders for added dimension. Finally I added some Dobadoo buttoms and dewdrops for added bubble effect. Fantastic inspiration from the team, as ever! WOW, we had SO many entries for this challenge so a huge thank you to you all for entering! Well done! Email us here quoting code PDw150001 to claim your prize, you won a copy of our Work and Play 1 collection, woohoo! 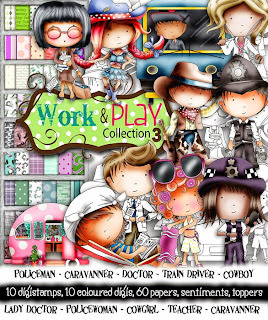 Work and Play 1 collection which is worth £10 so well worth entering this one! You don't have to use our products to enter so get making! See you next week for a brand new challenge!! Hi everyone, welcome back to another Polkadoodles challenge! Before we get down to business we have to give you a heads up for 3 hours of Nikky on Create and Craft TV next week - you can join her for 3 hours throughout the day at 8am, 1pm and 4pm so make sure you tune in! So let's get to this week's challenge! You have until 18th April at noon GMT to enter this challenge and the winner will receive a copy of our Work and Play 1 collection which is worth £10 so well worth entering this one! Before we get to their makes let's deal with our winners from last time! Our week 11 and 12 challenge was Mum's the word and we had some lovely entries! Well done! Email us here quoting code PDw140001 to claim your prize, you won a copy of our Work & Play 1 collection, woohoo! 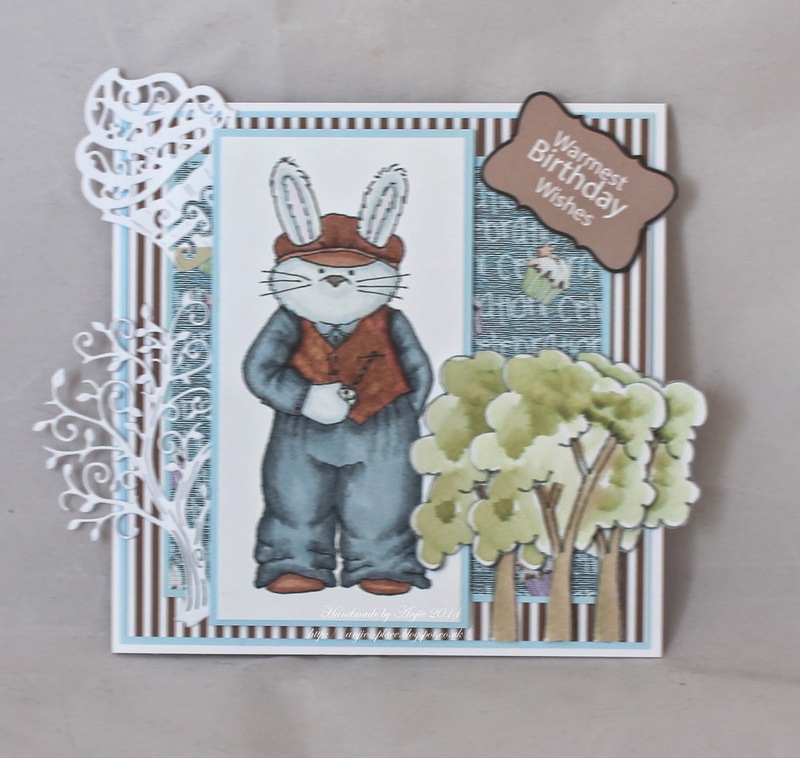 Ruth: I've used the fab Paper Boutique Vol 3 to make my card - I cut out all the elements and layered them up how I wished, added some wobbly eyes and glossy accents to the nose. I've layered it up using foam pads for depth. 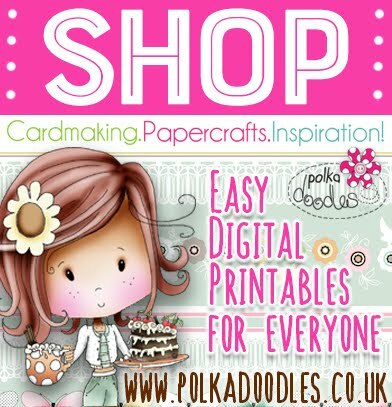 A really great card to make and a wonderful cd too! 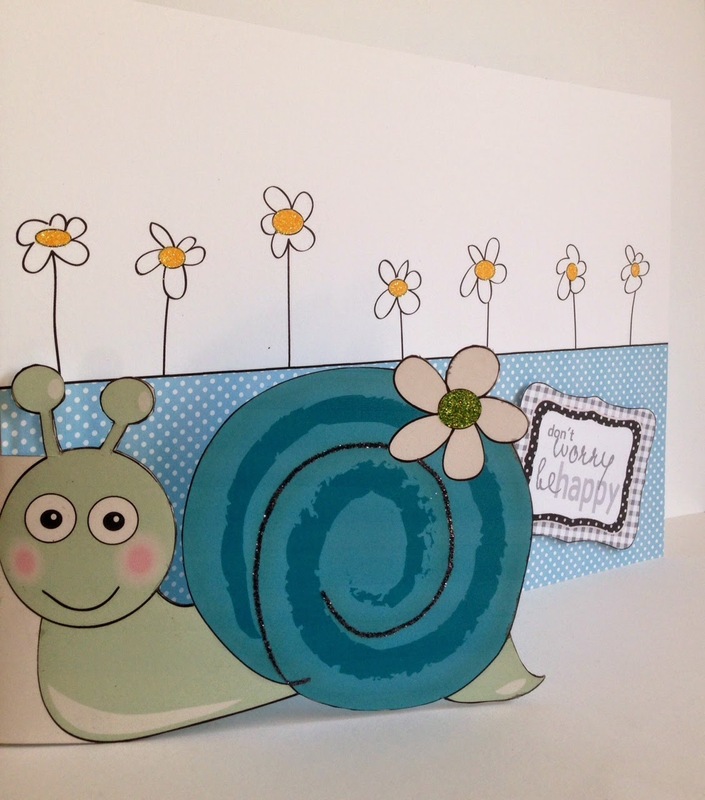 Claire C: This challenge was a great excuse to use one of my favourite cds, Cherryblossom Lane to create this 'bendy' card. The CD is on offer at the minute so don't miss it as such a bargain price! The background is one of the precoloured scenes from the Cd and I've coloured the images with my Graph'It markers. JAN - I decided to go all yellow ready for Spring with my make today. 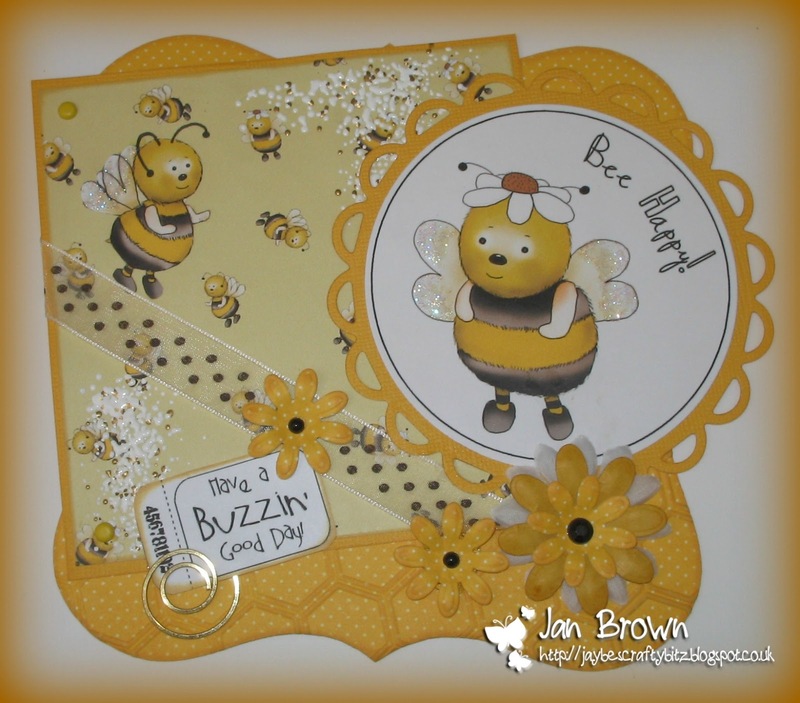 I made a shaped card - all papers, images and sentiments are from the 'Sugarplum Daisy CD' with a few extra little embellies from my stash, including some honeycomb embossing peeking out at the bottom! Karon - It's so fun looking through the CD's and finding so many new things to play with. 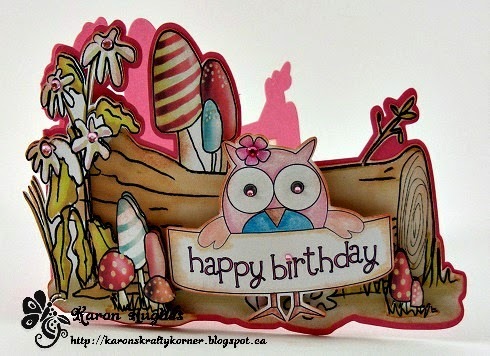 I made a shaped card using the pre-coloured log and mushrooms, from the Double Sprinkles of Kraft CD Then had to add the cute Happy Birthday Owl from the Sugar Birdies CD, which I coloured with pencils. Added a little bit of bling to finish her off. Fabulous makes from the team as always! Don't forget you have until 18th April at noon GMT to enter this challenge and the winner will receive a copy of our Work and Play 1 collection which is worth £10 so well worth entering this one!